Indeed, the scent is so perfume-like, you could be smelling a Rose. And, if fragrance were not enough, the pink, double flowers on this vigorous, compact plant measure up to 7in across. 'Eden's Perfume' is glorious in a vase. Midseason. 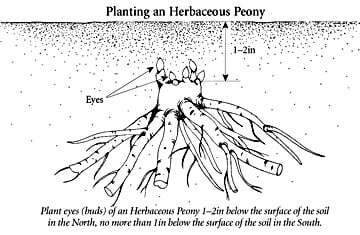 Plants in the genus Paeonia generally like full sun and neutral to slightly sweet soil, and they shrug off cold. After bloom is complete, you are left with a handsome mound of glossy, deep green foliage that will happily anchor the next sequence of bloom in the neighborhood. Peonies make superior cut flowers, lasting more than a week if cut in full bud. Southerners should seek out our early bloomers and provide afternoon shade. I love this amazing flower its so beautiful and gracious the color of it is amazing. Plus it Bloomed so nicley. I am so greatful that you guys planted this its an amazing and beautiful flower. Purchase 3 Eden's Perfume back in the fall of 2010 to add to our small retail peony business. Nearly 4 years later we have plants large enough to divide but there is absolutely no fragrance. We purchased them mainly for their intense fragrance they're suppose to have. The blooms look like the advertised product but lack any fragrance. Ask me again next year. I am hopeful it will bloom next spring.